The Original Visitation Church in Stacyville was dedicated in 1874. To the west an addition was begun in 1882. 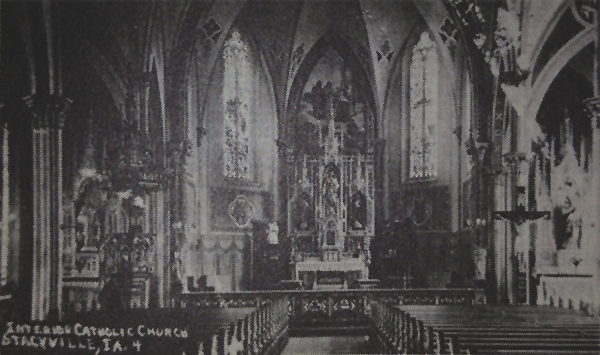 Interior of Visitation Church. There were three beautiful altars in the original church and were moved to the new church. The alters were used until Visitation was remodeled in 1972. Visitation Church present day. 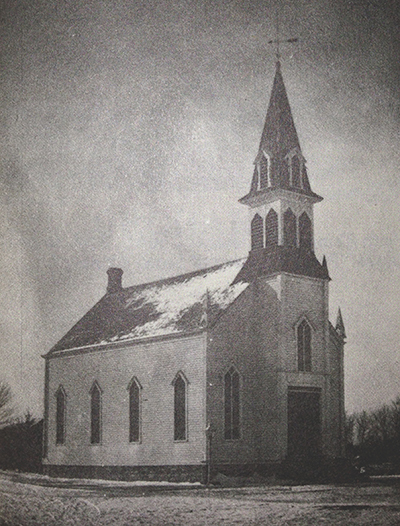 The church building was dedicated November 8th, 1905.